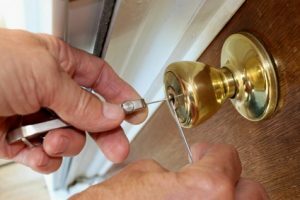 A residential locksmith deals with all locksmith matters in residential homes, unlike a commercial locksmith who deals with businesses, retail stores and larger corporations etc. They might offer a few less complicated services, but a crucial one none the less. At Shanken Security Solutions in Somerset West, we believe security begins at home, keeping your loved ones and property safe. A residential locksmith will be able to assist with things like gate locks, which generally needs more maintenance as they are exposed to the elements more than indoor locks. We also have mobile units that enables us to cover the entire Helderberg basin. All our residential locksmiths are experienced and will be able to advise you on the best locks for your home. This includes front and rear door locks, window security and interior doors. We can also re-key existing locks, install new locks and deadbolts for extra safety and create duplicate key sets for everyone on the home. Our residential locksmiths are experts and have been trained in the most cutting edge home security solutions so no matter what type of residential locksmith service you are looking for our technicians can handle it all.From a simple house lock out service, broken lock extraction or fixing broken locks there is no job that is too big or too small for your local locksmiths. With our residential locksmith service you can be asured that we respond to your call faster than any other locksmith company in the area. We offer a huge selection of various high security locks and or pick proof locks. We are able to give you multiple options for updating the security for your home. We also carry different forms of window locks and locks for your garage door which is just another way to keep your loved ones safe and secure.